The Shamanic Breathwork™ Process is a power­ful heal­ing process that inspires indi­vid­u­als to remem­ber and recon­nect with their own inner healer. As old wounds and dysfunc­tional patterns are released and trans­formed, indi­vid­u­als begin to regain lost soul parts and remem­ber the magic of who they truly are. Empowerment brings whole­ness and heal­ing back into their own lives, to the lives of those they love, and to the world at large. This process is highly expe­ri­en­tial and the wisdom and heal­ing gained comes from each individual's inner expe­ri­ence. Shamanic Breathwork™honors and blends the time­less wisdom of ancient tradi­tions with the emerg­ing new para­digm meth­ods of heal­ing and teach­ing. It func­tions as the rain­bow bridge between these two worlds honor­ing the best of both worlds while creat­ing a bridge for body, mind, heart, and spirit. In the past, and still in some remote areas, the Shaman was sought out much as a physi­cian, coun­selor or minis­ter is today. In the Shamanic tradi­tion of old, the healer (Shaman) attempted to restore heal­ing and balance to others by perform­ing sacred rites or cere­monies which usually included prayers, songs and chants. They would also jour­ney into other realms while being assisted by power animals, spirit guides and allies. The Shamanic Breathwork™ Process differs in that it is aimed at awak­en­ing the inner Shamanic Healer in persons under­go­ing the Breathwork process. There is ample support from Shamanic Breathwork Facilitators and co-journeyers to assist during the session to enable a safe jour­ney for the participant. The process begins by estab­lish­ing sacred space through vari­ous ritu­als and cere­monies such as smudg­ing with sage, cedar and sweet grass while offer­ing prayer­ful invo­ca­tions. Individuals lie down and focus on surren­der­ing to the healer (Shaman) within, call­ing upon that which is most sacred and holy to them, such as guides, power animals and higher power. The drum­ming then begins which leads into a power­ful musi­cal jour­ney vary­ing in length from one to two hours. 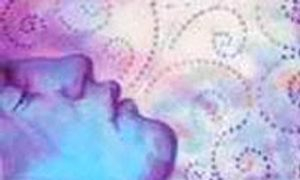 As the indi­vid­ual uses the power of deep connected breath­ing to create a natural altered dream­like state, the Ego defenses are released and the jour­ney unfolds in a vari­ety of ways. Shamanic Breathwork™ has helped thousands of people go deep within and connect powerfully to Source. It has helped them move into greater whole­ness and integrate positive change in their lives. This power­ful heal­ing process can inspire you to recon­nect with your own inner healer. As old wounds and dysfunc­tional patterns are released and trans­formed, you can regain lost soul parts and remem­ber the magic of who you truly are. This empowerment brings whole­ness and heal­ing into your life, the lives of those you love, and the world at large. Kimberly will give you continuous support during your session, insuring a safe inner jour­ney. You will lie down on a padded surface and connect with your healer (shaman) within. Then you will be invited to call upon that which is most sacred to you. This could include guides, power animals and/or a higher power. Kimberly's drum­ming will then lead you into a power­ful musi­cal jour­ney lasting about 75 minutes. You will use the power of deep connected breath­ing to create a natural altered state. This releases your ego’s defenses, allowing a dream­like jour­ney to spontaneously unfold within you. Each shamanic jour­ney you take will be unique. States of conscious­ness can range from divine, other­worldly ecstasy to the intense release of nega­tive forces in the psyche. Rebirthing and life reviews are common expe­ri­ences. Old patterns of dysfunc­tion may be brought to the surface. Addictions are some­times healed during this process. Feel­ings such as grief, fear, rage and anxi­ety are frequently released. During the journey you are free to lay, sit, stand or dance. You can scream, shout, laugh, cry or remain silent. You are welcome to do whatever you need to do to facilitate your healing process; Kimberly will make sure that you remain safe. Kimberly will hold space for you during your entire journey, and may use a vari­ety of psycho-spiritual tools to assist you. These may include body­work, energy work, soul return and energy release. Benjamin has years of experience as a professional shamanic healer, and you will be expertly supported by him and his spiritual allies. After the music ends, Kimberly may ask you to do a drawing to capture the essence of your journey. He will then process your journey with you to tie up any energetic loose ends and make sure you’re ready to reenter the “real” world. Words cannot do justice to the Shamanic Breathwork™ process. You have to experience the extraordinary healing power of this powerful shamanic journey to fully appreciate it! Kimberly is certified as a Shamanic Breathwork™ Facilitator and ordained Shamanic Minister by the Venus Rising Association for Transformation. 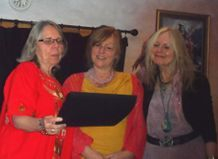 Her training included extensive instruction by Linda Star Wolf, the founder of Shamanic Breathwork™. Individualized sessions $195; sliding scale to $150. Book an event in your area Shamanic Minster Kimberly will travel . Shamanic Breathwork Facilitators have under­gone this process many times in the course of their train­ing and are loving guides for the participant's jour­ney. The process may require the Shamanic Breathwork Facilitator's skills and atten­tion; a vari­ety of psycho-spiritual tools may be employed to assist the partic­i­pant. Some of the most commonly used meth­ods are body­work, Reiki (energy work), Soul Return and extractions. The most power­ful heal­ing tool our facil­i­ta­tors bring to the person breath­ing is their open and loving hearts and minds, with a will­ing­ness to support and travel with the jour­neyer wher­ever they may need to go. This is the essence of what Shamanic Breathwork is all about. Describing the process really does not do it justice. One must expe­ri­ence this power­ful shamanic jour­ney and it's heal­ing from the inside out. Venus Rising is the orga­ni­za­tion founded and commit­ted to bring­ing the Shamanic Breathwork™ Process and other shamanic psycho-spiritual teach­ing and heal­ing modal­i­ties to the world. It is Aquarian in nature, which essen­tially means we believe that while teach­ers, shamans, heal­ers and gurus may be wonder­ful guides along the path to spir­i­tual aware­ness, the Piscean Age (Age of the disci­ple) is ending and we are all being called to embody the Shamanic Spirit within our own selves. Our planet is expe­ri­enc­ing a wake-up call and so are we. The time to heal is now, the time to remem­ber who we really are is now, and the time to take our creative heal­ing visions back to our commu­ni­ties is now. Please contact Venus Rising for more infor­ma­tion about The Shamanic Breathwork™Process. The Shamanic Ministers’ Global Network is a world­wide asso­ci­a­tion of Shamanic Ministers ordained through the Venus Rising Association for Transformation. These minis­ters, trained to hold Shamanic Consciousness in Every Day Life, all share the same commit­ment— that of support­ing those we serve, members of our congre­ga­tion, friends and family in embrac­ing one basic concept central to the shamanic perspec­tive. This concept is that the cycle of death and re-birth is a constant and that our lives become incred­i­bly enriched when we consciously embrace this aware­ness rather than fight it. While indi­vid­ual Shamanic Ministers within this global network may use differ­ent tools to awaken shamanic aware­ness within those around them, all begin with this core understanding. 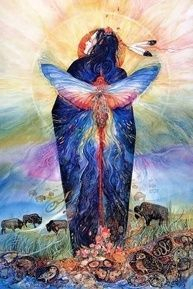 The Shamanic Ministers ordained through Venus Rising have all demon­strated a desire to heal them­selves of their own fear and resis­tance to the eter­nal cycles of change and to also assist others in the heal­ing process. It is the belief of all involved in the Shamanic Ministers’ Global Network that hold­ing a deeply personal and creative rela­tion­ship with these processes of change will help create a better world here on planet earth. Through right rela­tion­ship with ourselves, our congre­ga­tion, our friends, family and the earth itself each of us can become the change we want to see in the world.